We're been waiting for this day...the opening of Ohio City Provisions on Lorain Avenue. Self-described as "half grocer, half butcher shop," this new addition to Ohio City is bringing Clevelanders a shop that has locally sourced all of its goods. "All the pantry items in the grocery are locally-sourced, organic and pasture-raised produce, grains, eggs, dairy, canned goods, and more. The fresh butcher serves a variety of cut-to-order sausages, pasture-raised meats: pastured beef, heritage pork, heirloom varietals of pork, heritage chicken, rabbit, lamb, duck, turkey, venison, goat and various cured meats. Limited take-out menu available for grab-and-go meals." Chef Adam Lambert (formally of Bar Cento) and his partner Trevor Clatterbuck from Fresh Fork Market have curated quite a spread of fresh foods, dry goods, meats, and...cheeses! Gaze into the cheese case, and they'll likely offer you samples. Plenty of dairy products to get you through the week. A good selection of the local produce that Fresh Fork subscribers have grown accustomed to. Now, with access for everyone. ...and new-to-us items, like this Pumpkin and Carmelized Onion Rye Bread. It took a lot of willpower to resist. They will be open daily from 10AM - 7PM, and I'm pretty positive that it will reduce some grocery store chain shopping for us, and get us through the summer when we're missing our Fresh Fork Winter Share. I could not be more excited for their opening. Go check it out right away, support local, and feel good about where your products are coming from. The holidays are right around the corner. The last two years, I've been ON IT at getting some present shopping out of the way early. With work craziness and moving to a new house, I've really been slacking this year. Maybe you too? Here are a few gift ideas for the "foodie" in your life. From Our Kitchens Cleveland Independents Recipe Book ($24.95): Get your hands on the recipes included from some of our area's best restaurants! I just purchased this, and can't wait to use it. 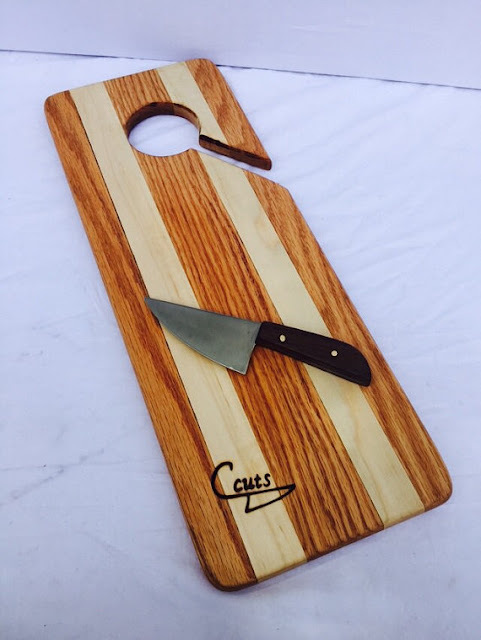 Handcrafted Knives and Accessories from Cleveland Cuts (Varies): This Cleveland Heights company is making handcrafted items like razor-edged steak knives, oak cutting boards, classic block sets, antique kitchen carts, cherry cheese boards, and hand-made wineglass carriers. Me? I'll take the custom cheese knives ($40, pictured below) or we really need a good set of steak knives. 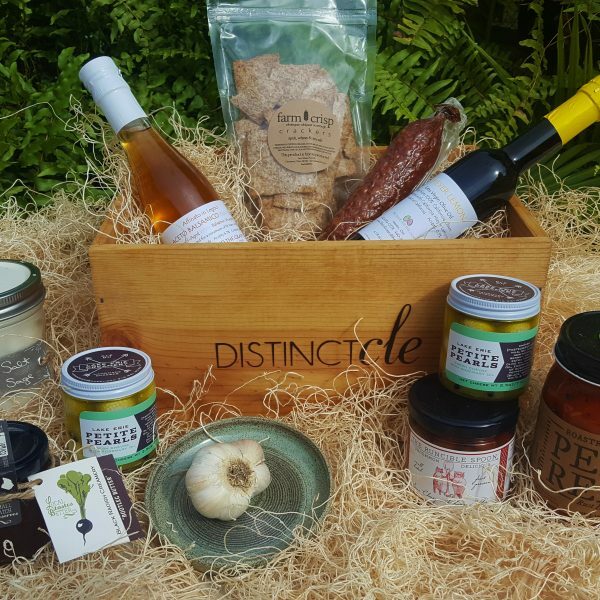 Distinct Cleveland Culinary Crate (Varies): This company has hand selected the best "foodie" products being produced locally, and put them all together in a gorgeous wooden gift box. We received one as a housewarming gift from our realtor, and I was immediately in love. 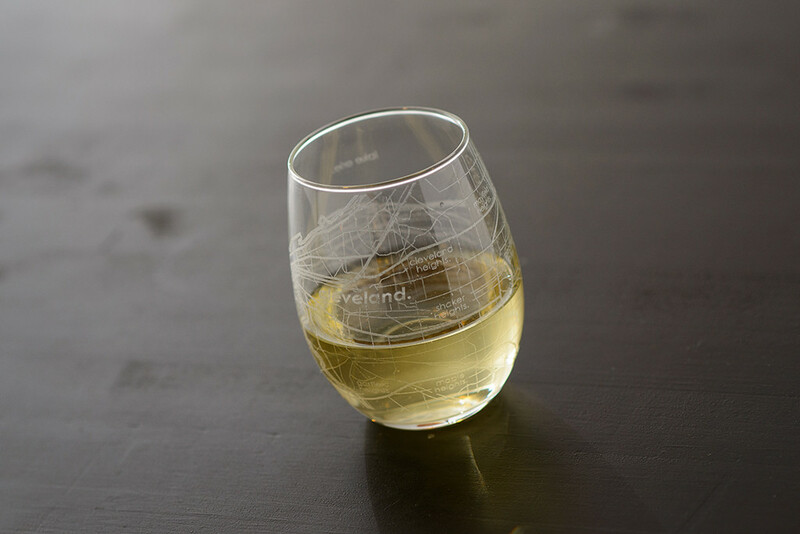 Cleveland Map Stemless Wine Glass from UncommonGreen ($15): A great gift for someone that loves this city, and wine! Two of my favorite things. Also, a set would make a nice hostess gift this holiday season. 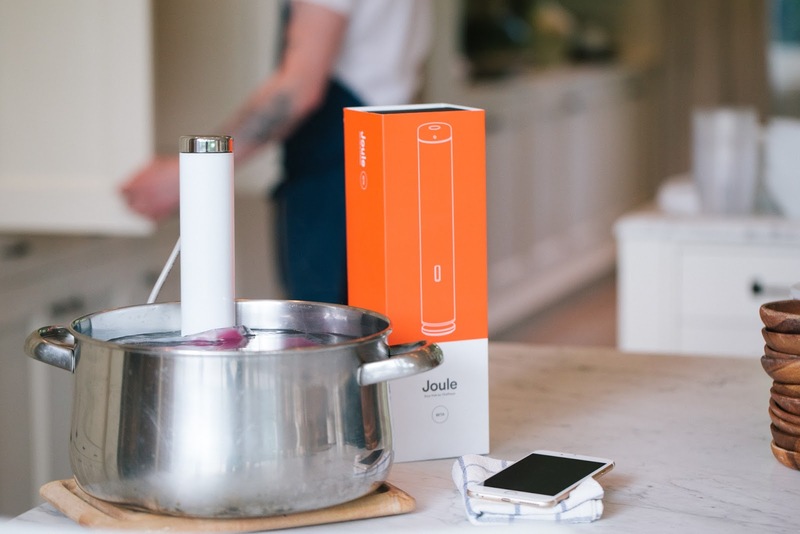 Joule Sous Vide by ChefSteps ($199): We pre-ordered ours in January and the release date has been pushed back several times, but they are on their way now, and this machine is supposed to be worth the wait. 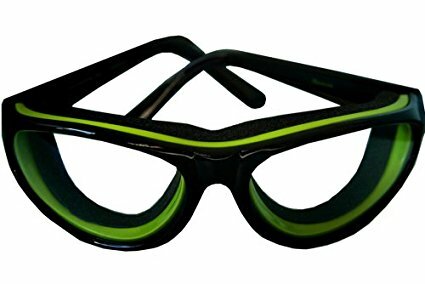 Onion Googles ($19.95): My mom got these for me last year, and they totally work! I used to tear up so badly when cutting onions, but no more. 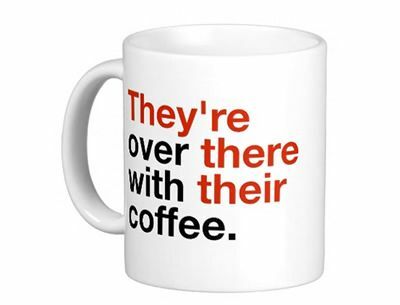 They make a funny, but functional, gift. Also, putting together a gift basket of locally produced goods is always a hit as a present or hostess gift. You can easily put one together by visiting shops like The Grocery, Tremont General Store, or Market at the Fig. They each carry a wide selection of local products that can be put together to make a fabulous basket. One of my go-to gifts year-round. Lastly, we resort to gift certificates from local, independent restaurants. Everyone in your life would enjoy a nice night out. Many of our local restaurants offer certificate deals during the holiday season, like purchase $200 and receive $25 or purchase one $100 certificate and receive a free $100 certificate. Keep your eyes peeled on social media, and don't hesitate to ask your favorite restaurants if they have special sale promotions. Any other fantastic ideas for the cooks or food-lovers in your life? Bonus if it's from a local company. Please share your ideas in the comments. Local business, Cleveland Jam, opened its doors on the retail shop on Saturday in the Old Brooklyn neighborhood of Cleveland. They partner with local breweries like Great Lakes and Catawba Island Brewery, and Ohio wineries to make beer-based jams and wine-based jellies. Mr. H and I picked up some Eliot Ness Fig Apple Jam (served it on a cheese board that evening, yum! ), and some Burning River Pepper Jam. We also snagged a locally-made candle with a great holiday scent, and a Bearded Buch drink to go (also now with a shop in Old Brooklyn). The shop also had other local goods, like olive oils, snacks, and t-shirts. They plan to sell retain wine soon too, and hope to be scheduling tastings and events shortly. Welcome to the neighborhood, Cleveland Jam! Go check them out. Putting together a gift basket of locally-sourced products always makes for a wonderful holiday present or hostess gift this season. SouperBowl CLE is a food celebration and fundraising event aimed at naming Northeast Ohio's best soups, and it's taking place this Saturday from 11AM - 3PM. Who doesn't love soup this time of year?! Attendees act as judges as they spend the afternoon walking the Gordon Square neighborhood, visiting the businesses and tasting soups prepared by favorite local restaurants. Attendees then vote by text for their favorite soups in various categories, including the prestigious title of "Best Soup in Cleveland". Tickets are only $25, and you get to sample more than 30 soups from local restaurants as you visit businesses in the area. You can purchase them online here. Also, tickets will be available at check-in at Cleveland Public Theatre on the day of the event, if you don't pre-purchase online. They'll be on sale from 10:30AM - 2PM. Cash and credit cards will be accepted. The list of participating restaurants includes some of my personal favorites, like Graffiti, The Plum Cafe, SouperMarket, Tremont Taphouse, and Toast. This is the second year that the event has been held, and it's already bigger and better. a great concept, and for a worthy local cause. The 2016 SouperBowl CLE will benefit the West Side Catholic Center. Nothing to disclose here. I just think that this is a local event that you should attend this weekend! Sometimes, you just have to revisit an old favorite, like Fat Cats in Tremont. I've never had a bad meal there, it's tucked away from the hubbub of Professor Avenue, and it has some of the best views of the Downtown skyline just steps away from its entrance. But, I had NO IDEA that they have such a great Monday deal for diners. For $25, you get your choice of any starter, entree, and dessert. For the quality of their food and the portion sizes, this is a great deal. I went with the Grilled Octopus. The texture and slight smokey flavor of the octopus was perfect. I wanted to try the Fall Risotto, but couldn't resist ordering one of my favorite dishes from Fat Cats that happened to be on the specials list that night. Their Rigatoni with sausage, green beans, and chevre in a light tomato sauce just always tastes good to me. The decadent Fallen Chocolate Cake was consumed immediately, and there was just no time for a picture. If I'm going to do dessert, it better be riiiiiiccchhhh and luscious. This was. While I'm always interested in trying what's "hot," and I prefer to continue to explore new-to-me restaurants, sometimes you just have to return to an old favorite. You may even be surprised at what you find there. Monday's are often a night when restaurants are closed. Not only is Fat Cats open, but they have this great deal (and happy hour until 7PM). Go check it out for yourself. Clevelanders have been able to get a great bagel from Cleveland Bagel Co. at local shops around town, like Erie Island Coffee, Pour Cleveland, Phoenix Coffee Bar, and The Grocery, and several area restaurants use their product, like Trentina, Cafe 55, Graffiti: A Social Kitchen, and Flying Fig. But, thanks to CNBC's Cleveland Hustles, you can now pick up bagels and schmears from their brick-and-mortar shop on Detroit Avenue across the street from The Harp. Since opening just about two weeks ago, people have been lining up to get their hands on the bagels, and they've sold out often. Mr. H and I headed there last Sunday morning. There were only a couple of bagels left in the case, and we started to worry about whether we'd get one or not by the time we got through the line. But, then came out piping hot and fresh Plain and Sea Salt bagels from their production space in the back of the shop. Score! You can currently choose from Plain, Sesame Seed, Sea Salt, Poppy Seed, and Everything. During our visit to the shop, they also had a Rosemary bagel available. Mr. H got that, and paired it with the Pumpkin schmear. These bagels are hand-rolled, and that perfect balance of a crispy outside but doughy center. I scarfed down a Plain with Brie, Honey, Toasted Walnut schmear, and took home a Plain with Cheddar Chive schmear for Monday morning. Might be the best bagel that I've had, certainly at least in Cleveland. And I've had some good ones in NYC! Bagel sandwiches coming soon to the shop, they've got their own blend of locally-produced coffee, you can order from the company for events, and bagel delivery is in the future. All fantastic things for this local company. I, for one, am now a fan, and I'll be stopping in for my bagel fix.